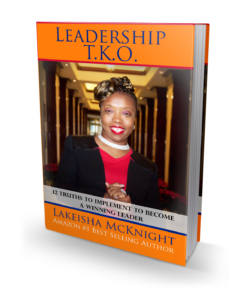 Leadership TKO provides leadership training, leadership keynote speeches, and the like for businesses, ministries, and schools. There are leadership principles that are applicable within various settings. These truths form the foundation of The ILEAD Company LLC. These truths are KEEPers. They allow a person to be grounded as they elevate into higher levels within their roles in life and business. The leadership truths keep leaders grounded, allowing them to be able to OVERCOME hurdles faced in their lives and careers. Leaders do not just WIN but they also OVERCOME. They are CHAMPIONS! Have you EVER wondered how you can truly WIN in every area of your life ? Would you like to move from ordinary to EXTRA-ordinary starting right now ? It is quite easy to get lost in the crowd of men and women within the corporate world as you’re seeking to establish a satisfying career. This also poses as a concern for business owners in crowded industries who want to WIN BIG. Specific principles need to be implemented in order to stand out from the sea of other professionals. We all want to make meaningful impacts in our cities, across the country, and for some, throughout the world. As you read Leadership T.K.O., you will discover truths that reveal what you must do to become an effective vehicle to transform your life as well as those around you. Most importantly, you will discover the answer to this question: What must I do to maximize my potential and truly WIN as a leader? I am in ministry operating my own ministry. I had gotten to a place where I wanted to quit. I never lost my faith in God but lost faith in myself. I believe I was burnt out, felt like I was a nobody and thought that my past mistakes was my handicap. It caused sleepless nights, headaches, stress, and anxiety. Lakeisha, through sharing other businesses was like a midwife, helped me to realize that I can continue on in the work. She connected me with businesses/ministries that are in need of my specific gifting. I reached out to a few places that she sent information about to make an introduction. I achieved the ability to step out and take action. I am in the process of re-launching my ministry and writing the book NOW. Without Lakeisha’s help, I probably would have quit. I was struggling to do public speaking. I didn’t know where to began, didn’t think it was for me, although I have a message and need to share with the world, I had that fear. I’ve had the fear of public speaking every since I was in high school. I was the student that didn’t enjoy going in front of the class and sharing my projects and would always try to avoid my turn. It was causing me to be fearful and miss a couple of radio interviews in 2017. Lakeisha McKnight helped me to understand what public speaking really was. She shares tips on how to prepare yourself for public speaking. 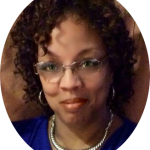 Lakeisha McKnight helped me to be comfortable with going out there and sharing my message that’s so dear to my heart by the post she share, the conferences she holds, the training, and the leadership calls. As a result of her help, I was able to schedule a few radio interviews. I’ve overcame the fear of public speaking. Without Lakeisha’s help I would more than likely still have the fear of public speaking and be uneducated about public speaking. I was struggling with understanding how to market my business on social media. I also needed to know how to get speaking engagements that were worth my time and financial investment. I struggled because I did not know how to use social media strategically to market and promote my business. With my speaking career, I didn’t know where or how to look for speaking opportunities. It was causing me great frustration. Since Lakeisha has helped me learn how to use social media, I was able to grow my business more strategically. Also, I have learned to create my own stage as a public speaker. I have seen great growth in my business. 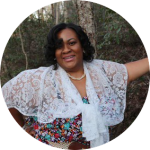 Without Lakeisha’s help, I would have been still trying to get figure out how to grow my business using social media. I was dealing with a long-term illness that I wasn’t prepared for financially or emotionally. I had no Plan B. I became depressed as a result because I was used to winning. I was proud of what my husband and I had created over the years but I was confronted with a test that I had no idea how I’d recover. Just like that, I felt life had abandoned me. I was experiencing hardship because of my health diagnosis and I was going through a career change after 22-years. I had no clue what my future held. Teaching was all I knew, but I didn’t know how to use what I already possessed to rebrand myself. It caused me terrible anxiety, fear and feelings of defeat. I always assisted my husband with our obligations, but I was at a point where I would no longer be able to. Being a part of the leadership training program gave me the confidence I needed. LaKeisha’s coaching helped me grow. Each week, I felt stronger. The knowledge I gained was priceless. My classmates became family. I was able to recharge my energy and reset my focus. I began using the assignments she gave to fine tune my goals. I started looking at possibilities as opportunities to create multiple streams of income for my family. As a result of Lakeisha’s leadership programs, I have a different outlook. I still use my notes from her trainings to keep my momentum. Even on a bad day, I look at obstacles entirely different. Where I used to allow different things to get me off-course- now, I just reconfigure my goals until the smoke clears. I never thought I’d be a motivational speaker until she planted the seed. Today, I’m pouring into others the tips I learned from her groups. This was all due to LaKeisha. This helped me personally and professionally. Mrs. McKnight took me under her wing and mentored me. She was always encouraging, available, and nonjudgmental. Her motives were pure. Without Lakeisha’s help, I would not have realized the power I possess. LaKeisha was firm and affirming. She really gave all she had to fill my cup. She didn’t withhold information, resources or opportunities. I felt as if she genuinely wanted to see me win. I was facing a huge health challenge in regards to type 2 diabetes. 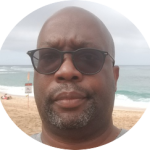 Through Lakeisha’s health audio broadcast/podcast episode, I was able to change my diet based on info she shared that has and is helping me to lower my blood sugar levels and high blood pressure. I encountered this problem because of my eating habits. It was causing my sugar levels to be in the 400’s. The doctor wanted to immediately put me on the usual meds for diabetes. With Lakeisha’s health content, I changed my eating habits and eating more beans and more of a vegan diet, I was able to go from 400 to 250 within a matter of weeks. Then on to 157 and the lowest reading to date at 138. I started more of a raw and organics diet, staying away from processed foods that cause so much damage inside the body. It would have caused me thousands of dollars had I not listened to her podcast. 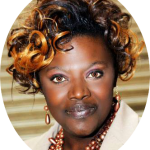 Lakeisha McKnight is a John Maxwell Team certified speaker, trainer and coach who equips speakers, authors, coaches, network marketers and ministry leaders with training on how to succeed in business through leadership development, generating recurring income, creating profitable speaking programs and utilizing social media and offline marketing. 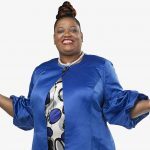 Lakeisha started her journey as an entrepreneur 13+ years ago, stepping into the roles of minister, speaker, coach, consultant, and book publisher sharing her message globally. She is the CEO of two companies: Lakeisha McKnight Brands International and Women of Elevation Career Services International. She has published and sold several thousand of her four books, which have become best sellers and received major media attention (such as special features with ABC, NBC and International Business Times). Copyright (c) 2018. The International Leadership Education and Development Company LLC. All Rights Reserved.